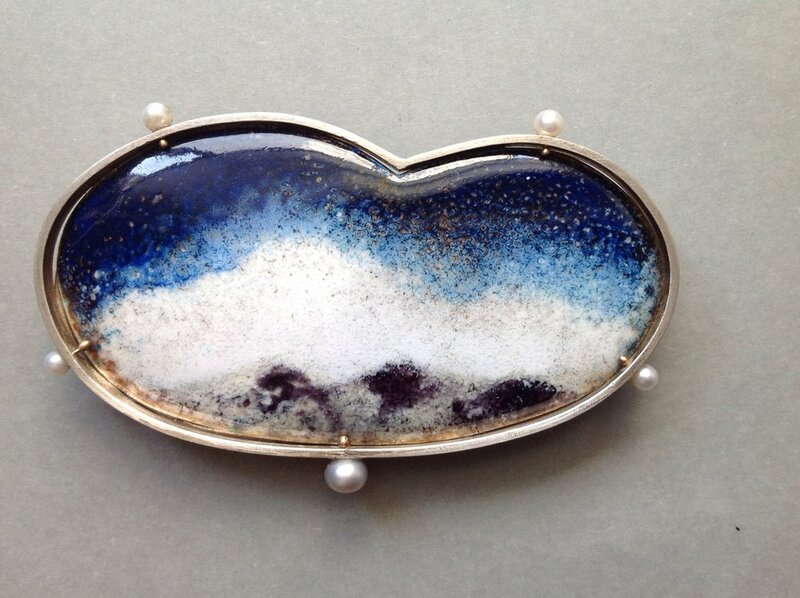 Landscape/Enamel. 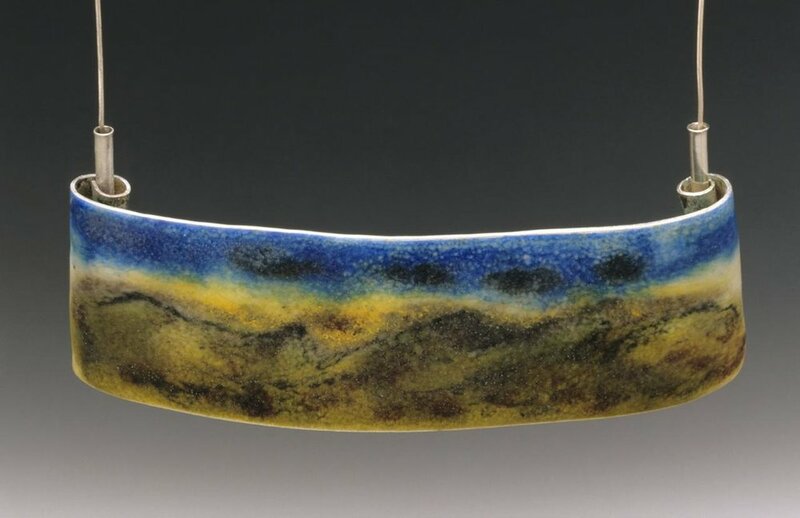 High desert references of light and color in Vitreous enamel on fine silver. One of a kind series with View of Black Mountain, Desert Dust Storm.